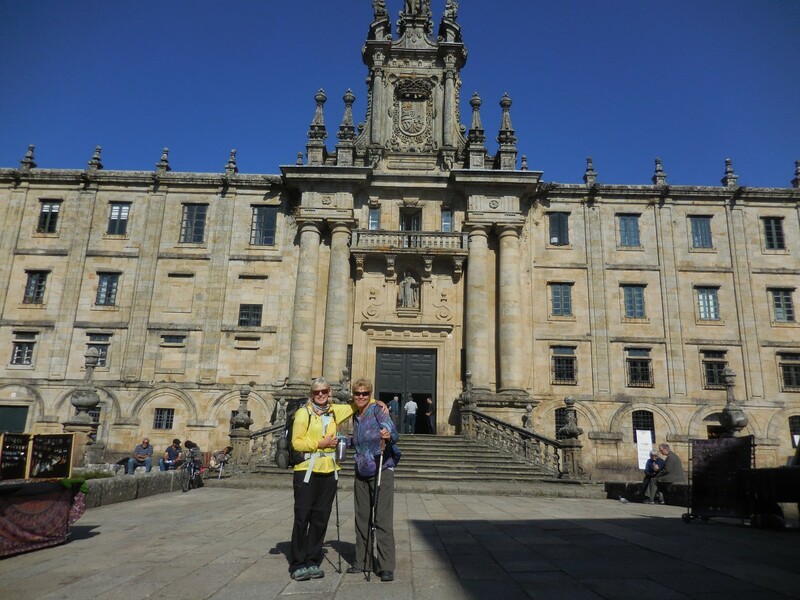 One of the pilgrims said that walking the Camino is like having a job: you get up each morning and your task is to walk, walk, walk. Judi and I agreed. 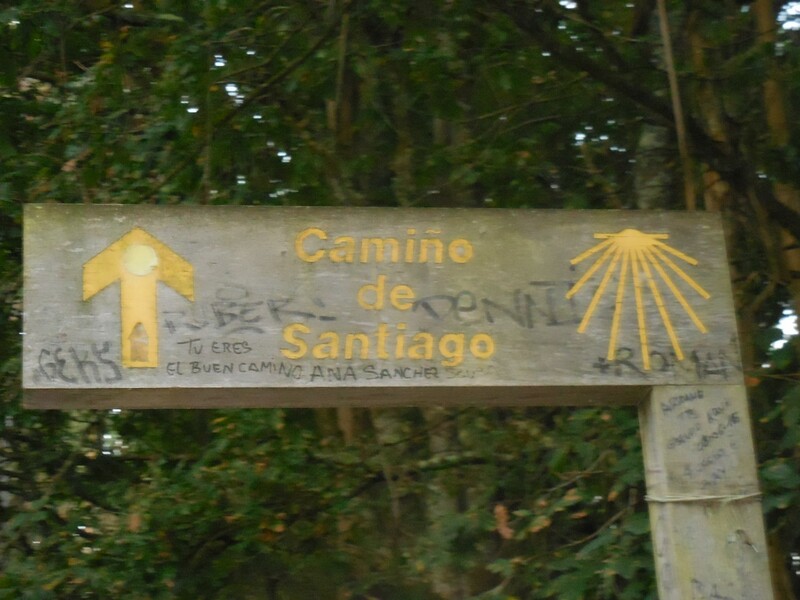 Tomorrow we start a new phase, a kind of retirement from our Camino job. 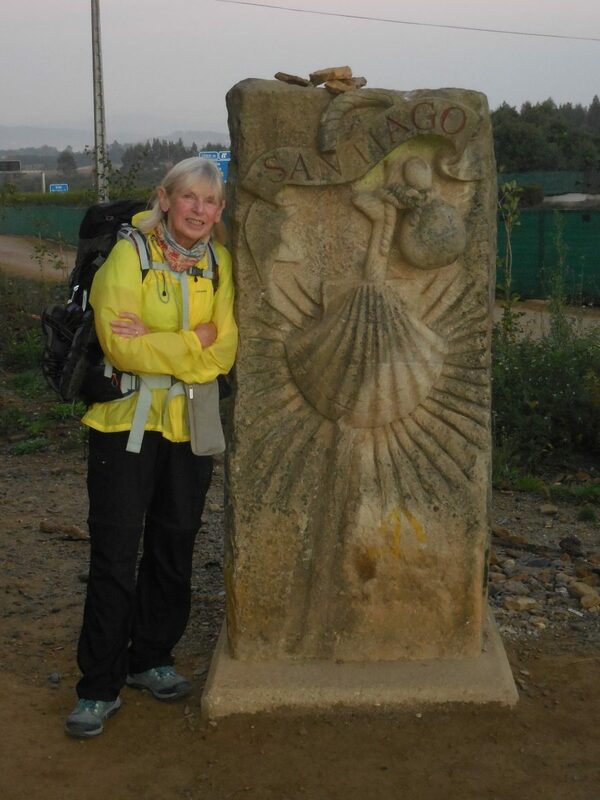 Our last walk, the walk into Santiago, was ten miles through forests, small villages, and suburbs, and finally into the city of Santiago. 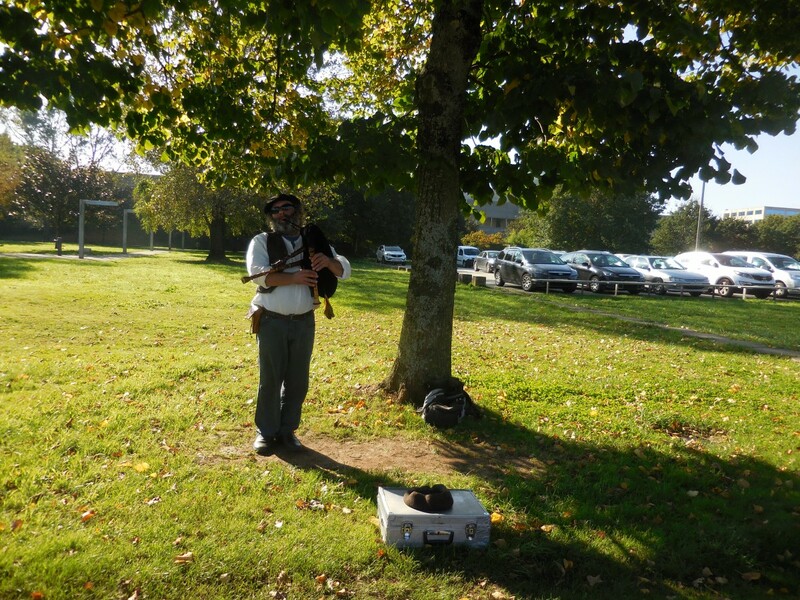 Galicia has strong Celtic ties, so we were not surprised to find a bagpiper or two greeting the pilgrims as they entered Santiago. 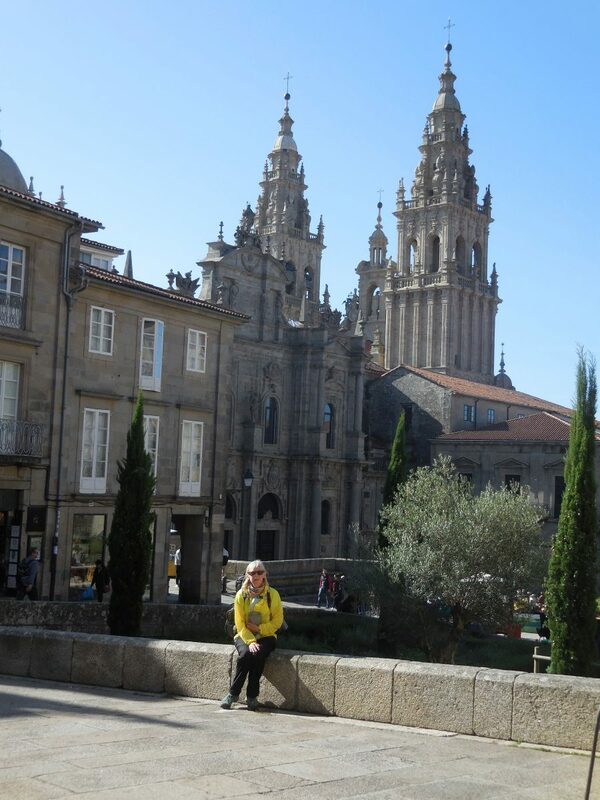 And, finally, the Praza Obradoiro Cathedral itself, the legendary resting place of the Apostle James and the end point of the Camino. 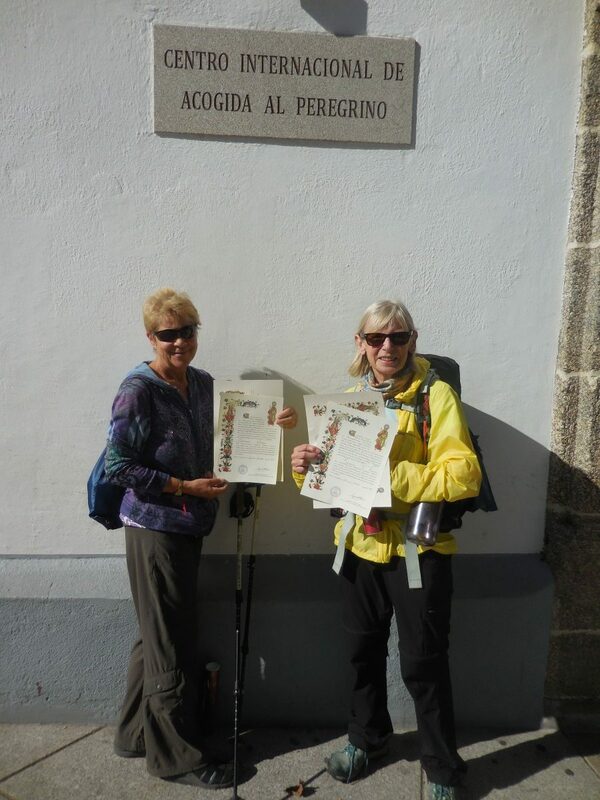 Tomorrow we will attend the noon mass, but for today just a visit to the Pilgrims’ Office to receive our certificate of completion, our Compostela, which verifies that we walked 799 kilometers from St. Jean Pied de Port in France to Santiago. “We did it! !” just about says it all. I think all of us following your journey are very happy with that statement. Wicked nice campostellas. Can’t wait to see all the stamps in your pilgrim’s passport. Congratulations on a wonderful journey. It is truly remarkable and a wonderful example of living to the fullest. I am truly impressed and cannot wait until you get home. You will have so many stories and memories that will make conversations very interesting. You did it!!! Congratulations, Barb and Judi. Congratulations!! I knew that you would do it. You were both so determined to make this journey that there was no doubt it was going to be completed. Relax and celebrate your accomplishments. Thank you for making this come to life for those of us who followed you on your blog. From my armchair here in southern New Mexico: It’s been a lovely adventure and I thank you both for taking us all along with you. I’m a little sad that the journey is over (easy for me to say) and I’m looking forward to the next exciting thing that you do! Congratulations Judi and Barb!!!! Way to go! Have a good retirement from walking those beautiful 799km. Woot! Congratulations! Thank you for taking us along on your journey! Hi Nana! Congratulations on your hike. We all miss you so much! We can’t wait to see you! Wow! Congratulations on an epic journey! And now you have a wonderful homecoming to look forward to, and rest and relaxation Before the holidays. I can’t wait to hear more details about all the sights and senses, the surprises and the savored aspects. So, are you taking any rocks home with you? Yes, I took a rock from the trail at Cruz de Ferro, a rose quartz! You guys are sooooooooo awesome! Congratulations! Wow!!!! You DID it didn’t you!?!? ( to be read in a specific tone that my mom will know)! Hehehe. I am giddy with excitement for you two! Awesome job. I sure do hope you plan another adventure we can all tag along on…this has been so fun!!! Safe travels home. Congratulations Judi and Barb! I’m sure that your last day’s journey was bitter sweet. Such an amazing adventure for you both I am certain, both physically and spiritually! Thank you so much for sharing. We’ll be looking forward to seeing you soon and hearing more. Be well and safe travels home. You are amazing!!!! Congratulations on an incredible journey! Thank you so much for sharing it with us. Can’t wait to see you!! What a journey! Congratulations to you both. Amazing. Whoo hoo Judi and Barb! You did it! It has been a joy to have these posts to follow your journey. You two are amazing! Can’t wait to see you! Wow! Congratulations on a job well done thank you for sharing your wonderful adventure. Yay! Excelente! Gracias por compartir este viaje tan memorable y bello. 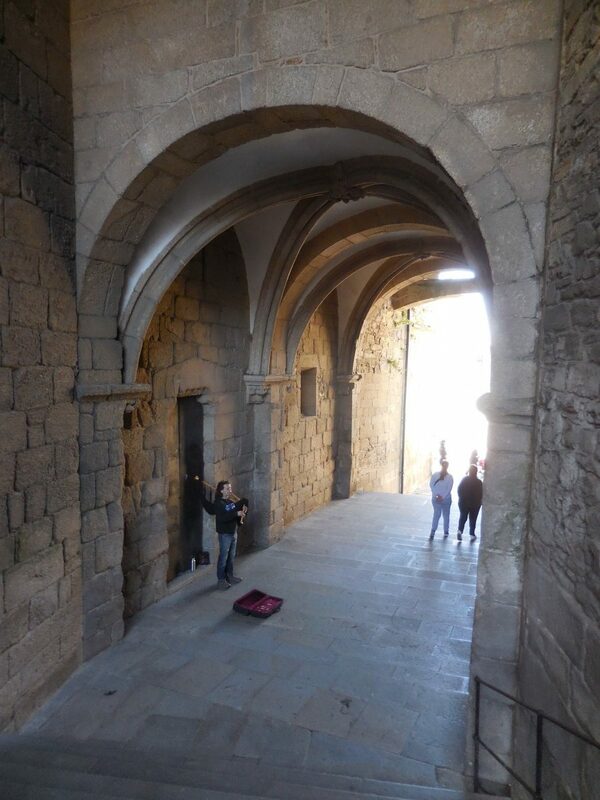 one thing about the Camino is you never walk alone. You meet people and than through out your amazing journey you will meet again. Great accomplishment. Hope you had a safe journey home.